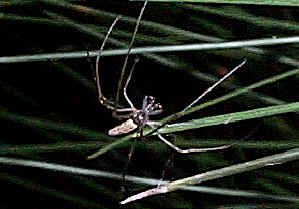 The family Tetragnathidae is newly separated from the family Araneidae. Members in this family also build orb webs, but a little different from Araneidae. They build small to medium size orb webs with open centre while spiders in family Araneidae build orb webs with dense center. Tetragnathid spider webs are usually horizontally inclined in sunlit areas. 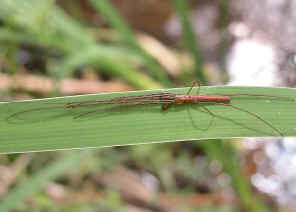 Species in this family are elongate spiders with long chelicerae and legs. 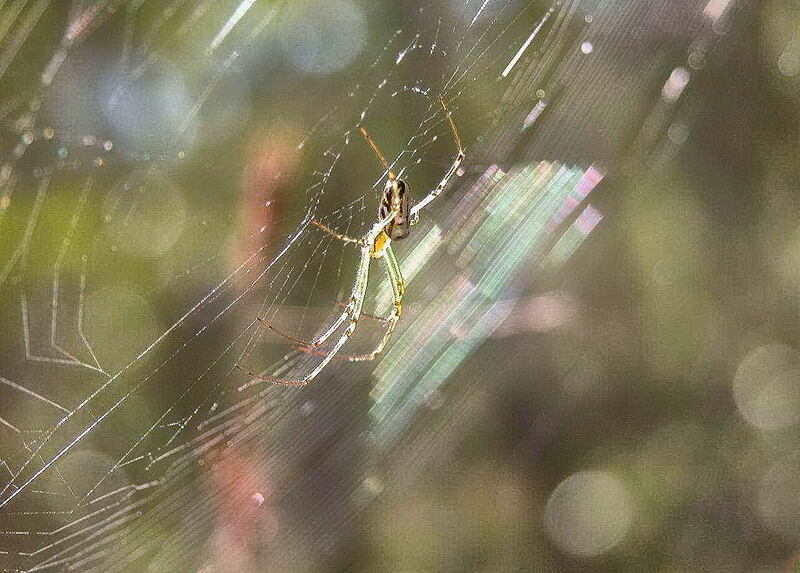 Unlike the spiders in Araneidae family which first wrap their prey in silk after capture and then bites it, spiders in family Tetragnathidae bite first and then wrap. This spider have a bright silver abdomen with black patterns. Its legs and head are dark green in colour. 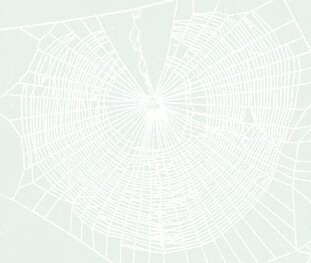 Usually they build inclined or horizontal orb webs, with opening at the centre. They wait for their prey in the middle of the web both day and night. For more pictures and information please click on here. 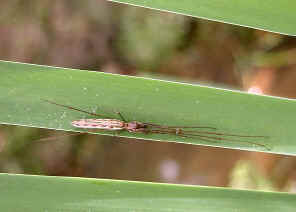 Long-jawed Spiders are also known as Four-jawed Spiders. 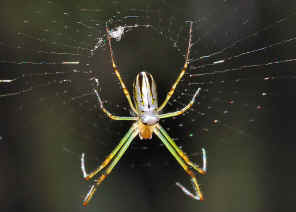 This spider builds small horizontal or inclined orb web about 20cm in diameters. 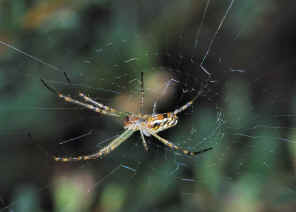 The spider is light yellow to white in colour, with very long and thin legs. They are usually found next to the water. They build their webs at night and rest on leaves during the day. More information and pictures can be found in this page. 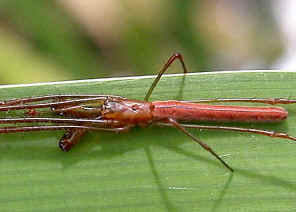 The spider is brown in colour, with very long and thin legs. The body is long and narrow. They are usually found next to fresh water, such as creek and pond. They build webs at night and hide on grass during the day. More information and pictures please check this page. 1. A Guide to Australian Spiders - Densey Clyne, Melbourne, Nelson 1969, p69. 2. Tetragnathidae - The Find-a-spider Guide for the Spiders of Southern Queensland, Dr Ron Atkinson, 2009. 3. TETRAGNATHIDAE Long-jawed orb weavers - Robert Whyte, Save Our Waterways Now. Last updated: November 18, 2009.